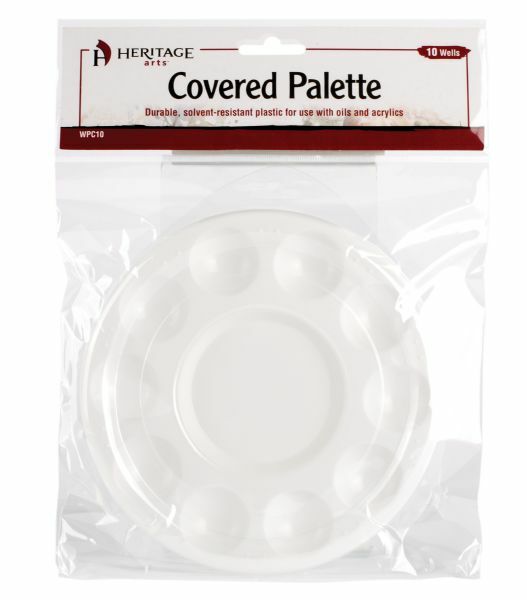 Durable solvent-resistant plastic palette with resealable clear cover. * 10 wells and 10 sets of raised brush rests. 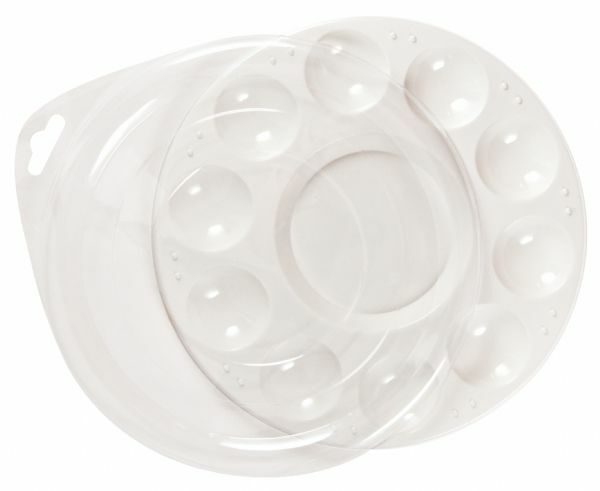 * For use with oils and acrylics. The quantity is 10 wells. 6.69" x 6.69" x 0.39"